We ate lunch in the cafeteria of the Holocaust Museum. The lunch was delicious! It may have been the best food that we have eaten, yet. Unfortunately, not long after eating I was sick to my stomach and wanted to throw up. I was not sick from the food, but sick from the museum. Words cannot describe the sadness of the Jewish genocide in Europe, starting in Germany. There were so many pictures, and stories, and videos to walk you through the late 1930’s through late 1940’s in Germany and then beyond. The devastation caused by Hitler (and so many willing followers) is unfathomable. There were also memorials to different “heroes” during that time period, and a memorial to the children that we know of who lost their lives during the holocaust. 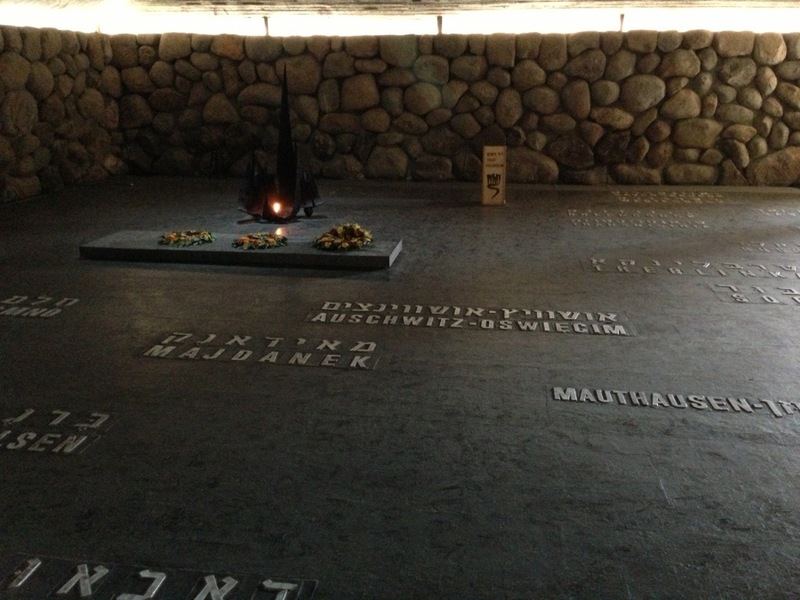 That memorial is a simple, dark room with a recorded voice reading the name, age, and country of each child. Apparently it takes 2 years for the recording to make it through each name. In the dark room there are 5 simple candles lit to symbolize the light that would still be in the world had these children not been murdered. It was really touching (especially as I am missing our own four children like crazy), but I couldn’t help but think about the true light of the world -Jesus Christ. The Nazi’s claimed to be Christians, but they clearly did not know Christ. If the world would accept Christ, as he truly is, there would be no genocides to talk about. Imagine how much light He would bring into the world if we would let Him.